A rich finish with gorgeous Mango veneer sets this incredible value apart as a true find. 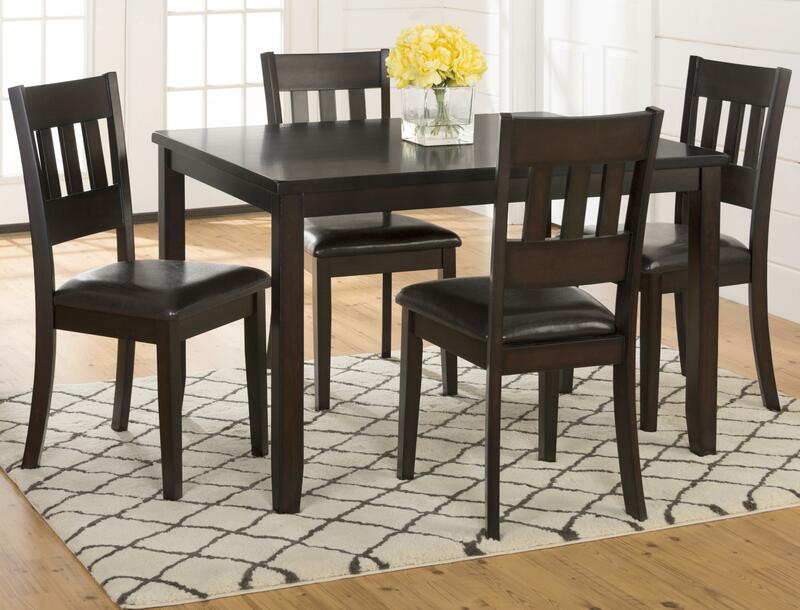 Sturdy, solid construction on both the table and chairs, as well as faux leather upholstery on the seats guarantee that this group will be a staple in your home for years to come. Constructed of Mango veneer over solid hardwood. The Dark Roast 5-Pack- Table and 4 Chairs by Jofran at HomeWorld Furniture in the Hawaii, Oahu, Hilo, Kona, Maui area. Product availability may vary. Contact us for the most current availability on this product. Side Chair Info Easy to clean upholstery on seats.